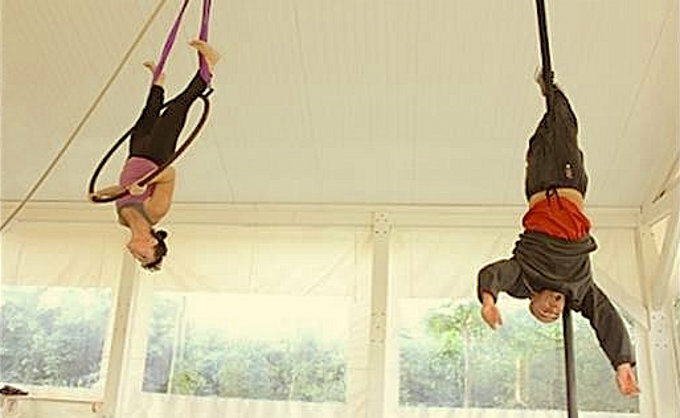 A showcase, a signal boost, a planning session, a large-scale meeting of minds, in December of this year Tel Aviv will host a three-day event to introduce Israeli circus to the international field, to step-up the organisation of the national sector, and to further involve cultural ministers in supporting the circus arts. The event, the first of its kind in Israel, has been organised by the Foreign Ministry and by ON – Contemporary Circus Creation Center, a structure that promotes contemporary circus and supports young creators through the provision of its facilities, through collaboration with CircusNext, and by feeding artists into ON – Company where they can gain performance and touring experience. Until now, the Israeli circus scene has done much of its growth outside national borders: young artists tend to undertake preparatory studies in Israel, then go abroad for further training. You find them at Le Lido, Carampa, DOCH, and other schools around Europe. Now there's a will to bring that scattered community home and to found a strong professional field in Israel by bringing about conditions under which artists can create work. Over its three days the showcase is split between venues in Tel Aviv and the performing arts school Sandciel (in Yakum), an institution where students can study a three-year course incorporating dance, acting, clowning and various circus arts. Alongside presentations, a roundtable on Israeli Contemporary Circus, and exchanges between Israeli cultural politicians and international visitors, there will be four performances in all: work in progress showings of HUMAN by Yogi Dekel and Coquille by TemaKarys, and then presentations of Avital Dvory's Little red riding hood and of ON – Company's Revolt #2.